Japanese encephalitis virus (JEV) is a mosquito-borne flavivirus closely related to the human pathogens including yellow fever virus, dengue virus and West Nile virus. There are currently no effective antiviral therapies for all of the flavivirus and only a few highly effective vaccines are licensed for human use. In this paper, the E protein domain III (DIII) of six heterologous flaviviruses (DENV1-4, WNV and JEV) was expressed in Escherichia coli successfully. The proteins were purified after a solubilization and refolding procedure, characterized by SDS-PAGE and Western blotting. Competitive inhibition showed that all recombinant flavivirus DIII proteins blocked the entry of JEV into BHK-21 cells. Further studies indicated that antibodies induced by the soluble recombinant flavivirus DIII partially protected mice against lethal JEV challenge. 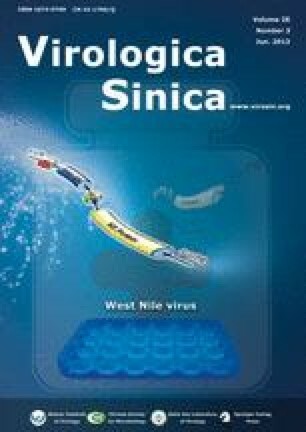 These results demonstrated that recombinant flavivirus DIII proteins could inhibit JEV infection competitively, and immunization with proper folding flavivirus DIII induced cross-protection against JEV infection in mice, implying a possible role of DIII for the cross-protection among flavivirus as well as its use in antigens for immunization in animal models.